This Kershaw 1670SPGRN is among the coolest of the cool. 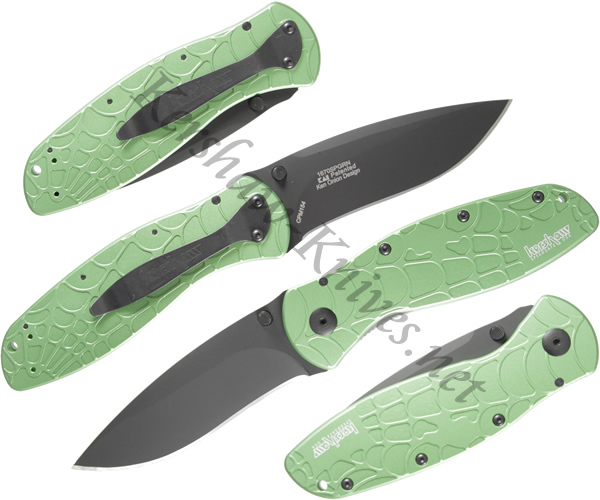 It is a limited edition run of the Kershaw Blur that features a green aluminum handle with a spider web pattern on it. The knife is assisted opening using the ambidextrous thumbstuds and has a black tini coated blade. The core of the blade is made of high qualight cpm 154 steel. The knife is razor sharp, cool looking, and rare. What more could you ask for in a knife?